Tignes, French town in Haute-Savoie, is a ski resort open 12 months a year. The town is divided into three fractions from 1500 to 2100 meters of altitude and is located in the Espace Killy ski area, linked to Val d'Isere. In the ski resort of Tignes, known as Espace Killy, there are nearly 300 km of slopes and about ninety lifts. The town is divided into three fractions, respectively Tignes Les Brevieres (1550 m.), Tignes Les Boisses (1850 m) and Tignes 2100. The latter is the heart of the area, divided in turn into Tignes Le Lavachet, Tignes Le Lac and Tignes Val Claret. 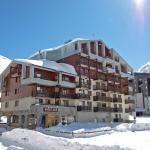 The area allows you to get to Val d'Isere and the Glacier Pissaillas. Tignes is located under the Grande Motte glacier, where the snow throughout the year allows you to ski at almost 3500 meters of altitude. The glacier can be reached by an underground funicular that carries up to 340 people per trip and arrives on a terrace at 3000 meters with a restaurant which, of course, is called Panoramic. From here you can get off on the black run Leissè or take the cable car to the top of the Grande Motte and then down with the red track Glacier. In Tignes there is also a loop for cross-country skiing, covered with snow even in summer, reachable from the track Rosolin. In summer, after the skiing over the glacier, in many fractions of Tignes are available equipment and facilities for other sports such as tennis, beach volleyball, rafting, sailing, kayaking and canoeing on Lac du Chevril, horseback riding, mountain biking, squash, paragliding, golf on an 18-hole golf course and swimming in the heated outdoor pool. In addition, for walking and hiking, there is the magnificent Vanoise National Park. 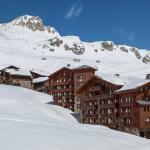 The village 2100 meters away from Tignes is a typical ski resort, with large buildings of rental apartments and hotels directly on the slopes. The old part of Tignes is situated at 1850 meters, with small houses and well maintained cottages. 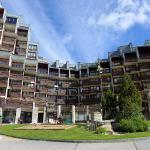 The tourist accommodation in Tignes is mainly based on rental apartments, but there are also many hotels in Tignes, providing excellent spas and wellness centers. In all three villages there are bars, clubs and restaurants good for apres-ski and evening. Enter Les Campanules Hôtels-Chalets de Tradition Hotel and enjoy your stay at this charming traditional family-run hotel in the heart of the ski resort of Tignes. 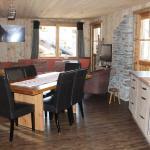 The Village Montana rises in a beautiful location in the prestigious Killy ski area. This welcoming 3-star hotel offers outdoor heated pool, fitness center and complimentary wireless Internet access. Situated near the ski resort of Espace Killy, the elegant Hotel-Restaurant Le Ski d'Or offers a warm and professional welcome and provides an ideal location for a vacation of sport and relaxation. Hotel La Vanoise is situated in a beautiful location in the heart of the mountain resort of Tignes Val Claret, only fifty meters from the shops, bars and restaurants, at the foot of ski trails and lifts. 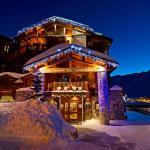 The Résidences Village Montana is conveniently located in the exclusive Killy ski area. The resort offers an outdoor heated pool, luxurious spa facilities and comfortable rooms with private bathrooms with Jacuzzi. 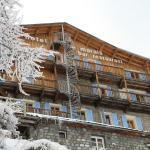 Hotel Le Marais is located in Tignes, in the area of Killy Tignes-les-Boisses, near Lac du Chevril. In winter you will enjoy easy access to the ski slopes and in summer you can make excursions on foot or by bicycle. Strategically located in the heart of the ski resort of Tignes Val Claret, the Diva Hotel offers direct access to ski slopes and welcomes you in a beautiful traditional building made of wood.